About Us - SIA Wildlife Control Inc.
SIA Wildlife Control is a company comprised of warm hearted and caring personnel. 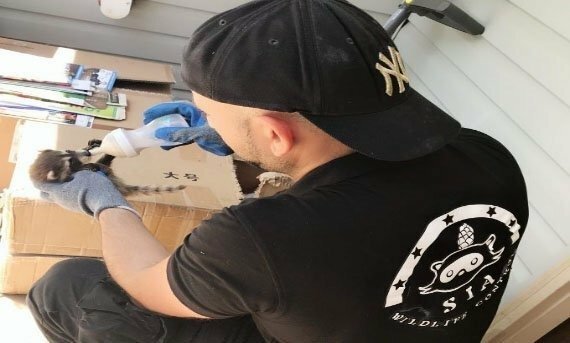 Our technicians are all trained and licensed to deal with everyday pest and wildlife issues that can plague a home or it’s property all over the Greater Toronto Area. Our goal as a company is to keep our clients happy and maintain a working and polite relationship, whilst also caring for the well being of animals. We are a fully equipped company to deal with wildlife and pest related issues. We provide a complete home inspection, high quality work, reliable and trusted services to commercial, industrial and residential clients. Is to set to be the first wildlife control company to be in the minds of our old and new clients when animals break in and disturb their daily lives by delivering quality and cost effective solutions to our clients. Preparing homes in defense to the ever increasing wildlife populations while bringing no harm to animals in the process. Our work is our pride, and our reviews speak for us. You’ll never feel helpless with our 24/7 team when you have a wildlife crisis in the middle of the night! Humane Wildlife Removal: We provide our services with the well-being of animals in mind whilst achieving excellence in the service provided. Quality Materials: Our materials are the best in the wildlife control industry. We spare no expenses in the materials we use to provide our removal services. Quality Workmanship: All the work we do comes with guarantee and that includes caulking our work so that there is no leakage once we have finished. 24 Hours A Day: We’re available 24/7 to take on your emergency pest removal needs so you never have to feel alone at any hour of the day! History of SIA Wildlife Control Inc.
Providing wildlife removal and pest control services for more than 3 years. Our technicians hold over 13 years of experience under their belts. 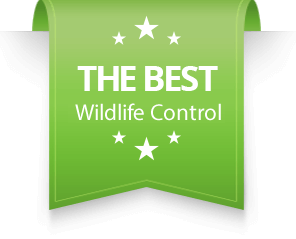 SIA Wildlife Control is a growing and well known company in the wildlife control industry amongst homeowners, commercial and our direct competition. We have a history of dedication, persistence, and excellence to our clients who have acquired our services in the Greater Toronto Area. Choose us because of our reputation for excellence and great customer service. We have worked tirelessly to provide professional, punctual and quality pest control and wildlife removal services in the Greater Toronto Area. Just look at our reviews and see what our clients say about us. Homeowners rely on us to make their homes safe and pest free through a timely, safe and efficient manner. Our wildlife removal service rates are 100% successful. We are so confident in our work, material and technicians that we offer a 2 year warranty on all our work! Watch our technicians find, explain, and solve your problem all in the same day. No headaches, no hassles, let us handle your nuisance pest problems for you. We understand the urgency to remove animals from your property. Our technicians are on call 24 hours a day to effectively provide coverage throughout the city. If we can’t make it to you the same night, we’ll be there the next morning. Do you have a raccoon inside your home? You’ll be happy to meet our all hour emergency team anywhere in the Greater Toronto Area! Ask our personnel to show you their badge. All of our employees are trained and licensed to acquire and apply pest control pesticides. Our team will perform a full inspection and inform you on steps to take to reduce your pest problems and when necessary, take action for exterminations.